Jig Pendleton is crazy on religion. 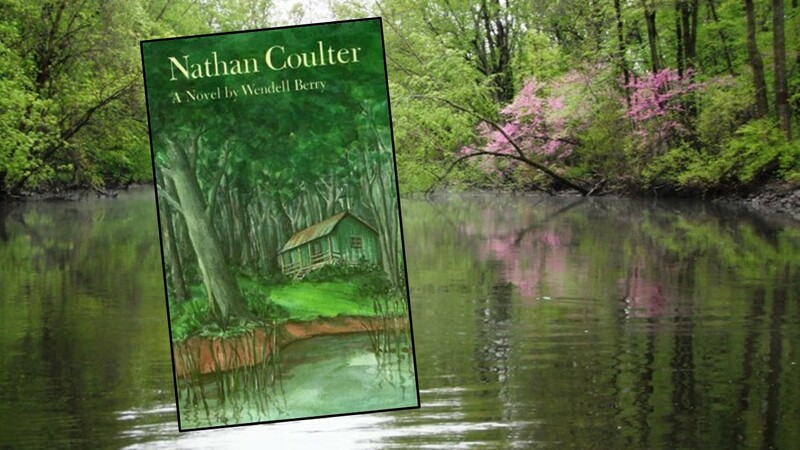 He’s a character in Nathan Coulter, a Wendell Berry’s novel. Jig lives alone in a shanty overlooking the Kentucky River. Like some of the original disciples, he makes a meager living fishing. When not fishing, Jig spends his days holed up in his shanty reading his Bible. Over and over again, from cover to cover, he reads the Good Book. He knows it by heart, yet he’s consumed worrying about sin. You see, Jig believes if he can just purify himself enough the Lord will dispatch a chariot of fire, and like Elijah, take him up to heaven. But there’s a problem. Jig can’t quite purify himself enough. It’s too great of a task. Sooner or later, he always throws in the towel and goes on a big drunk. Then, he starts his quest all over again. 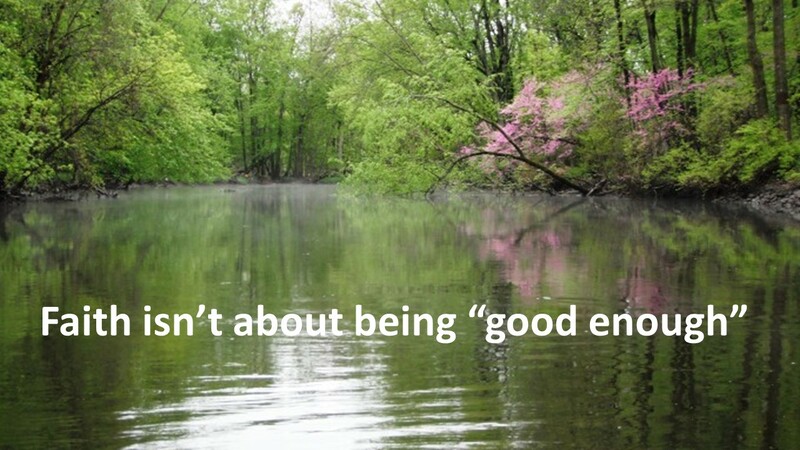 You know, when it comes to religion, we often think it’s about being good, or good enough. We think we need to be like Jig in one of his purifying stages. 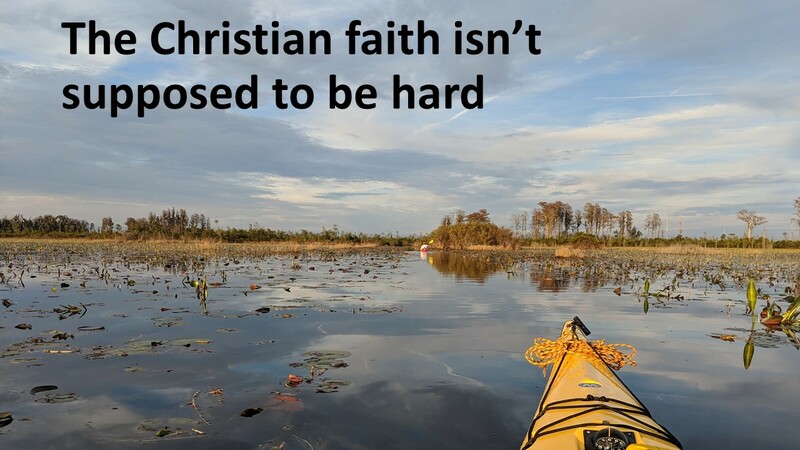 We see religion as hard work which is why many people don’t want to be bothered with it. We forget about the joy of salvation. I wonder if at times we spend way too much time on the Great Commission found at the end of Matthew’s gospel, where Jesus tells his followers to go out and make disciples of all people. The operative verbs here are “go” and “make.” We see religion as making something, either out of ourselves or someone else. We’re caught in the trap of thinking the way to heaven is by hard and difficult work. We forget that long before the Great Commission, Jesus issued the Great Invitation. 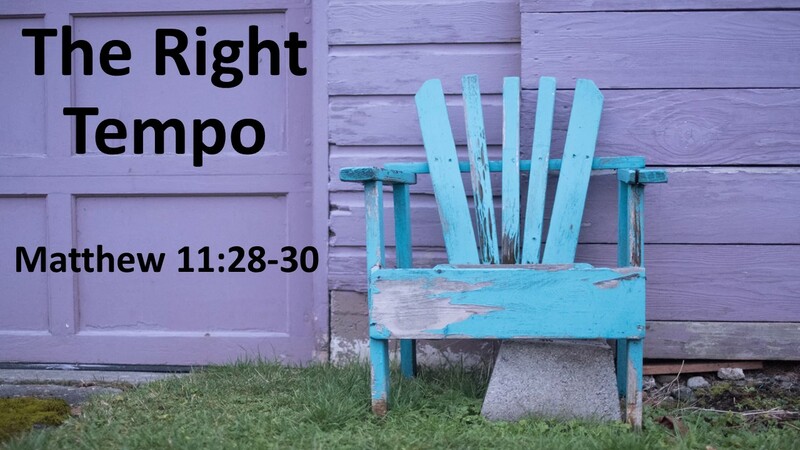 Instead of inviting us to labor, Jesus first invites us to come to him and take a load off our backs—to take a break—to catch our breath—to find the right tempo. You know, Jesus doesn’t bring an end to all their problems. When those who had gathered around him woke up the next morning, many things had not changed. The men still have to go to work and the women have to take care of the children and prepare the family’s food. They still have letters from Roman IRS agents calling them in for audits and creditors banging on their doors. They still have squalling kids and screaming bosses. So just what does Jesus offer when he invites the crowd to come to him? What are we offered in this passage? It’s easy to think that Jesus’ promise in this passage refers to our eternal rest, but that would also be very disappointing and not at all what I think he’s talking about. The primary concern for the Christian faith (along with the Jewish, as Jesus was talking to Jewish folks) isn’t our reward in the next world. Yes, the promise of eternal life is real, but when it becomes our sole focus, we prove Karl Marx right in his classic cliché that “religion is the opiate of the masses.” If we focus only on an eternal rest, then religion easily becomes a force to keep us in line and what fun is that? A state sponsored religion might be about social control; but a faith grounded in Jesus Christ is about freedom and transformation. The goal of the Christian faith isn’t to maintain status quo in individual lives or within a society. 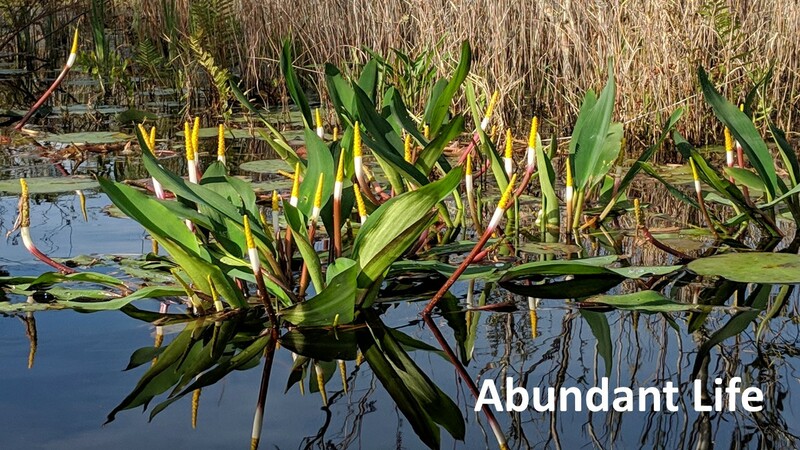 Instead, the Christian faith promises abundant life. So when Jesus says, “come to me all who are weary, and I’ll give you rest,” he’s talking about something that happens in the present. He’s promising us a new outlook on life—with him at our side. Instead of a life preoccupied with the pressures which surrounds us, he wants us to live a life thankful for what we’ve been given. We’re called to a new tempo, one that he sets, which is freer than the hectic world around us. Instead of a faith that worries if we are good enough for God, he offers a faith that gives thanks for God’s goodness. God’s goodness is what’s important, because we ourselves will never be good enough. We need to accept and be thankful that God loved us first. Our faith starts with God calling us, not the other way around and the first thing about caring for ourselves is to understand this distinction. So Jesus invites us saying, “Come to me; take my yoke.” He’s not talking about a single yoke, one that he gives us and we wear around so that we might haul a heavy load. Instead, I think he offers a double yoke, one that he helps share the load. One in which we are able to watch him and learn how to live graciously, to appreciate beauty and to give thanks for the blessings of life. 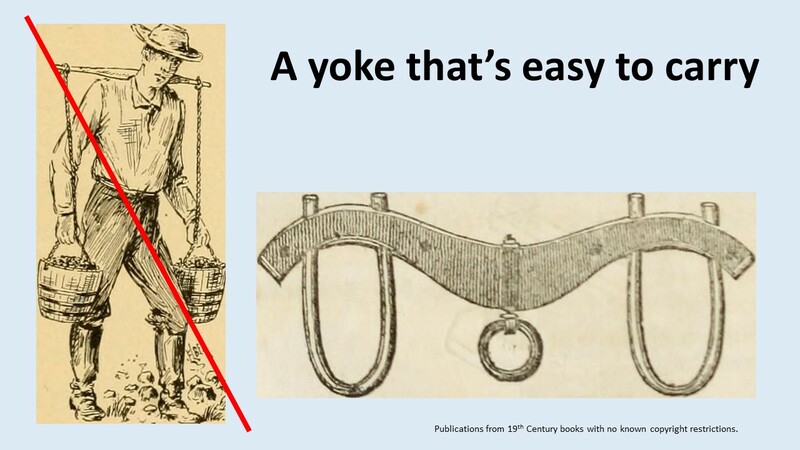 Our translation tells us Jesus’ yoke is easy, but it could also be translated as kind, or “easy to carry.” Sure, we’re created by God for work, but we achieve more when the yoke is comfortable, just like an ox or a mule can pull longer if it has a well-fitted yoke. Since few of us have had any dealings with yokes, let me use another example. My first real experience at backpacking occurred when I was in my first year of college. My uncle, who is a few years older than me, had just gotten out of the Navy and was also attending college. We decided to hike a new trail that ran along the crest of the Uwharrie Mountains in central North Carolina. It was 30-some miles long, not too long. I had a pack, “The Kilimanjaro,” one of the best packs K-mart sold. With a name like “The Kilimanjaro,” it sounds as if was a serious pack. We made the trek right after New Year’s, since we had a week before school resumed. With food and gear and plenty of warm clothes, we set out. 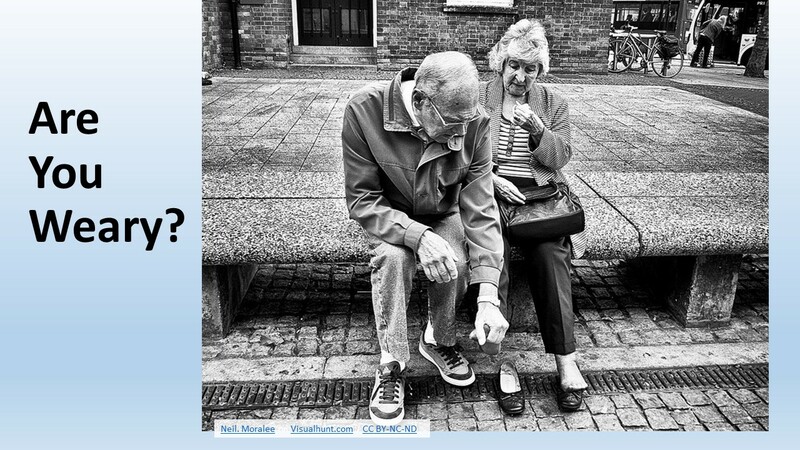 Unlike the other photos, this wasn’t in my sermon slides. Instead, I showed the backpack. Halfway through that first day, I was in trouble. My shoulder straps were digging into my shoulders. The padding didn’t hold up. Instead of the straps displacing the weight over their width, they buckled and pulled right in the middle, making it feel as if I had a rope sawing into my shoulders. Compounding the problem was the lack of a waist band, without which I had no way to relieve the weight on my shoulders. I ended up improvising a waist band with some rope, which helped a little. By our first night, we were both hurting. Yet, we continued. When I got back home, I started saving money and before I tried anything else like that, I purchased a brand new Kelty pack. It didn’t have a fancy name like my other pack. 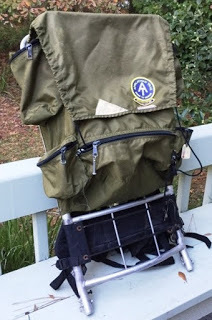 It was the D-4 model, a staple of Kelty’s packs for years! I still have it. I threw that Kilimanjaro pack away a long time ago. With the D-4, I’ve done the entire length of both the Appalachian and John Muir Trails. I can assure you, a waistband and well-built, nice fitting shoulder straps make all the difference in the world. Had I continued hiking with the Kilimanjaro, I’d given up on the sport like my uncle did. Either that or I’d be crippled by now. We need an easy yoke if we’re going to accomplish what God plans for us. 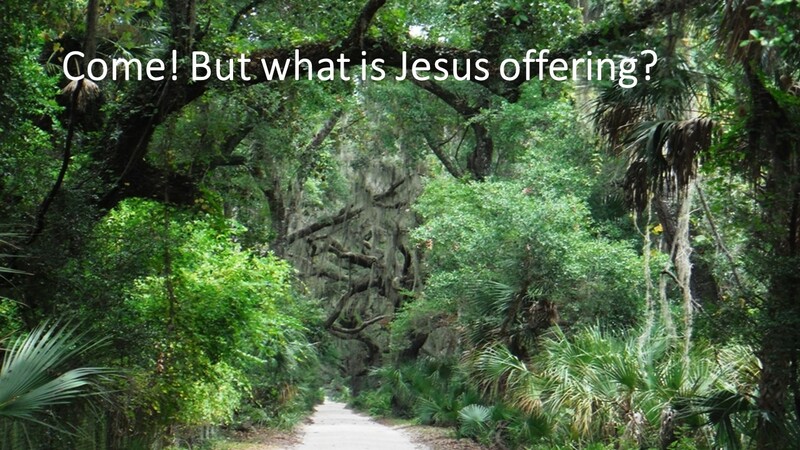 J esus calls us to come and learn from him how to enjoy life. He calls us to relearn our priorities, to set the right tempo. Instead of having to work hard to earn God’s grace, we accept it and thereby joyously labor not for God’s grace but to praise God for having been so good to us. We don’t have to be so rushed, because we know God is in control. We don’t have to do it all, for we trust in God’s providence. We don’t have to pretend to be God. Let that burden go! Jig Pendleton had it all wrong. Religion isn’t about working hard; it’s about looking around and gratefully receiving all we’ve been given. 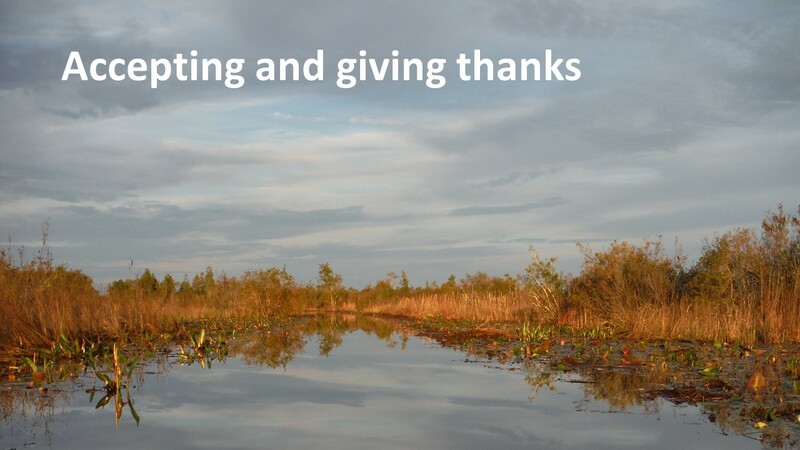 It’s about accepting our position in creation and giving thanks. Take care of yourself. 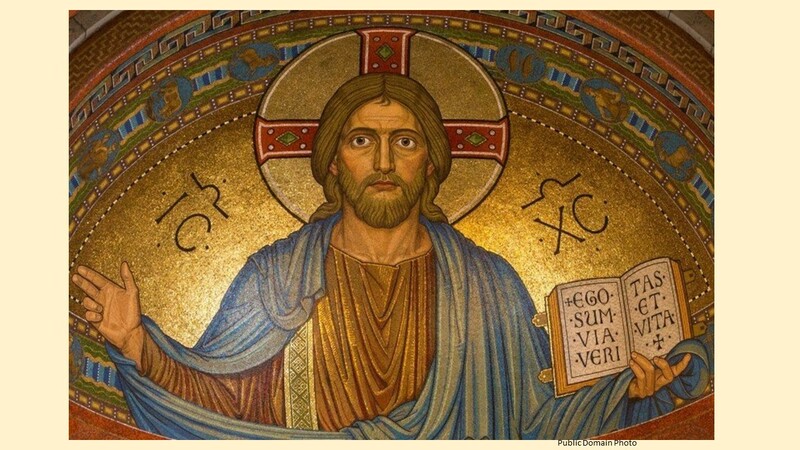 Reorient your life to a new perspective, one with Jesus, as the face of God, at the center. Drop the guilt and long faces, slip on that easy yoke, and (most of all) enjoy the journey. Amen. Wendell Berry, Nathan Coulter (New York, North Point Press, 1960, 1985), 15-16. Douglas R. A. Hare, Matthew: Interpretation, A Bible Commentary for Teaching and Preaching (Louisville, John Knox Press, 1993), 126. Frederick Dale Bruner, The Christbook: Matthew 1-12, (Grand Rapids, MI: Eerdmans, 2004), 540. 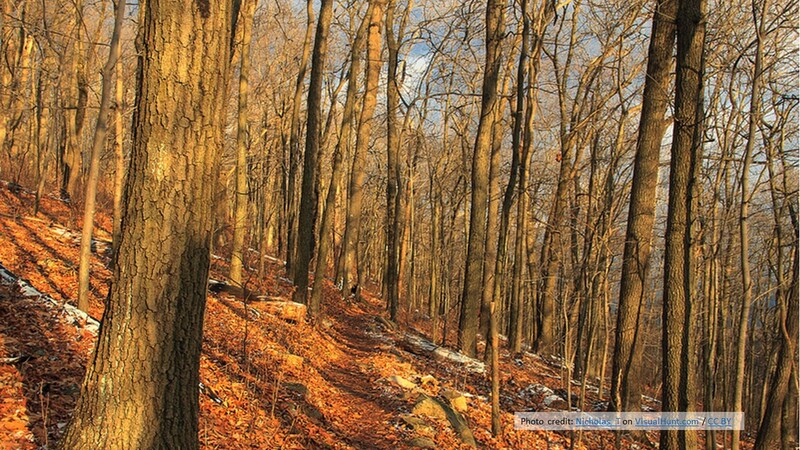 I’ve gone on a few hikes when I was younger, nothing more than 4 or 5 miles though. When I lived in West Virginia for a year the mountains and tree’s started right outside my backyard. I took a few walks out there. This is a comforting post. Our job is to be grateful for what we have been given and to praise God–what a joy to be relieved of our burdens.